DIY painting projects are always a good time, but some projects should be taken a bit more seriously. That's certainly the case when painting baby furniture. Painting a baby's crib isn't all that difficult, but it does take a bit of extra planning and preparation to pull off properly and, of course, safely. Here are just a few quick tips to keep in mind during your DIY crib painting project. Needless to say, if you don't choose the best paint for baby cribs, you could put your infant at risk if the paint contains contaminants. 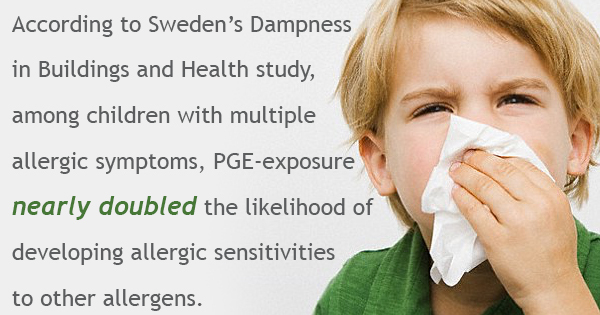 In fact, according to Sweden’s Dampness in Buildings and Health study, among children with multiple allergic symptoms, PGE-exposure nearly doubled the likelihood of developing allergic sensitivities to other allergens. With that in mind, it should come as no surprise that the best paint for baby cribs are those that are low VOC paints. Remember that VOC levels over 500 ppb could cause problems for people with chemical sensitivities, according to a report by CBC Marketplace, so when in doubt, low VOC paints are always ideal. As is the case with almost any painting project, you want to make sure the paint ends up where it's supposed to instead of on the ground. Lay down a thick barrier to prevent spillage and staining; you can use newspaper, but old rags and cloths are usually a bit more protective. Don't forget to secure your barrier with heavy objects on the corners so they don't move around during the process. If the crib is already set up, it may make sense to take it apart so that you can paint each piece more thoroughly. It creates more of a finished look once the project is complete. Of course, this is ultimately a matter of personal preference. Remember, according to Sweden’s Dampness in Buildings and Health study, children with bedroom PGE concentrations in the top 25% (of the study participants) had a 100% higher likelihood of having asthma, a 150% higher likelihood of having eczema, and a 320% higher likelihood of having rhinitis. The most important tip to keep in mind when painting baby furniture, by far, is to choose paints that keep your child's health in mind. For more information about baby safe paint for cribs, contact Ecos Paints.